I was born in August of 1987, supposedly a healthy baby girl. I was taken home and thrived. A few weeks after coming home I started to display some things that worried my parents. I was throwing up everything I ateand was developing a rash all over my body. My mom took me to my pediatrician and they told her “I was fine”. My mom knew I wasn’t. Not only her second child, but my mom was a dietitian and had some medical knowledge; she knew something was wrong. My mom took me to the pediatrician’s once a week for 6 weeks, yet the doctors still insisted I was fine, just a mucousy baby. One morning when I was 11 weeks old my mom found that I was breathing very heavy and turning bluish-gray around my mouth. 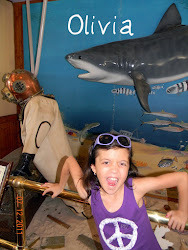 She took me to my pediatrician again and demanded a local hospital to admit me (back then my parents were on health insurance that you needed a request for admittance for tests by the primary doctor). My pediatrician and a nurse checked me over, again… this time they heard a murmur so finally they agreed I needed testing done. I was rushed to the nearest ER and an on call intern who looked at me first just had learned all about Congenital Heart Defects, so he knew it was most likely my heart. I was taken to get a chest x-rays and when he came back said that my heart was very enlarged and most of the right side of my heart was missing. Children’s hospital was called and an ambulance got ready to take me. Once my mom was told what was going on; she called my dad who came from work right away as well as my grandparents. My mom was not allowed to ride in the ambulance due to not enough room. They told my parents I was in severe heart failure and they didn’t know if I’d make it to the hospital. My parents had been thrown into every parent’s WORST nightmare!! I made it to the hospital and was stabilized. My cardiologist (well the one I had the first 22 years of my life), told my parents I have a Congenital Heart Defect called Tricuspid Atresia, Hypoplastic Right Ventricle (which simply means I only had one working ventricle (my left) or half a working heart) and that I had to have an emergency heart cauterization to re-rip a hole in my heart so blood could flow better. My cardiologist was kind and caring to my parents. I was sent home a few days later on a few medications and a special formula which consisted of concentrated Isomil with polycoseadded (basically formula with tons of calories/fat added)so I could gain weight as I needed to be at least ten pounds for my first open heart surgery which I would have between 3-6 months of age! My mom tells me it was a grueling task to get me to eat and keep down all my formula. She told me it took about an hour for one ounce and she needed to feed me every hour with a syringe. I still very sick and due to a late diagnosis my Pulmonary Artery was about 3-4 times the size it should be, but could not be fixed till I was stronger. That Pulmonary Artery could have popped at any time before my first open heart surgery and would have killed me. Looking at pictures you would never know how sick I was. If that wasn’t a big enough task to take care of me, my parents had my older brother, Ryan, to look after who at the time was only 4 1/2years old and carried a lot of germs that could make me very sick. Of course Ryan adored me so it was hard to keep him away from me. It wasn't easy for them, but they had family to help out and support them. My parents kept strong for me and held onto faith that I would be ok. My parents didn't want to accept that something might happen to me. In early February of 1988 I had my first open heart surgery called the Pulmonary Artery banding. It was to help the blood flow in my heart and lungs until I was old enough to have a procedure called the Fontan. The surgery went well. Though it was successful in its purpose it didn’t make it any easier on my parents and family. I was still a sick little baby, but my parents never lost hope that I would be ok! As for complications, I had one code blue called during my 10 day recovery because I pulled out my breathing tube, but after that all was well!Soon after returning home I got dangerously sick with RSV! I was taken back to Children's Hospital andadmitted. I spent a few weeks recovering from RSV on lots of medication. My dad tells me my crib has a bubble thingy over it to help me breathe and for breathing treatments (I don’t know the proper name for it). After returning home from recovering, everything went well and my parents as well as my older brother adjusted. I was born with other medical issues, one is an eye muscle disease called Estropia (“Crossed Eyes”), I did patch therapy as a baby and then had my first eye muscle surgery at 18 months old; which was during the time in between my two open heart surgeries. Despite everything, I was a happy baby and smiled a lot! On November 21, 1989, my parents handed me over to the doctors for my second and riskiest open heart surgery, the Modified Fontan Palliation. It had only been a month before during a heart cauterization that I developed a blood clot in my right leg and scared my parents, now it was one of the biggest days for them and for me. The Fontan was a surgery still a fairly new operation (about 15yrs old). This surgery was either going save my life, take my life, or have my parents looking for other options and my parents knew that all too well. About a 50-60% of me surviving with my specific case waswhat the doctors bluntly told my parents, but my parents hung onto all positives. My parents had a lot of faith in the doctors and God that I would come out ok. I cameout of surgery ok, I was alive! As far as complications that I had from this surgery, I had a chest tube issue (they had to put it back in while my parents held me down as they didn’t have enough nurses around at the time), a SVT/very fast heart rate scare where I coded, apacemaker scare (never got one though, I'm very grateful for that) and I was put on a special diet (medium chain triglyceride diet). All things considered, I did pretty well with recovery. I was discharged from the hospital exactly one month after my surgery which was four days before Christmas 1989. My family had every reason to celebrate. I did too! I got out my mom’s lotion the day I got home and went to town putting it all over myself. I was happy and alive. What more could my parents and family want? After that second surgery I was as healthy you can be having severe heart condition or “half a heart”. I had years in between the second surgery and any minor concerns. I went to my cardiologist once a year and was on a few medications, other than that I was doing great. I had another eye muscle surgery when I was 8, I got four stitches in the my bottom lip from getting hit be a swing when I was 8. I got a little brother, named Aaron, when I was 11 years old and that was wonderful; I'd hold him as much as I could. Aaron and I are very close. When I was six my mom got me into acting classes; she signed me up to the family theater in our city. I was in plays till I was twelve when the family theatre group closed. I enjoyed being on stage and it made me feel on top of the world. It is something I will always remember; even my mom was in the plays with me! For my parents and family to see me up on stage happy and alive was so extremely exciting for them. I bowled, started at age 5, which I loved and years later I ended up being on my high school girlsvarsity bowling team. I enjoyed playing with my little brother, Aaron, as well as watching my older brother, Ryan’s, basketball and baseball games. Both my brothers have always been loving and supportive to me. I was a pretty “normal” child and teenager in most aspects (I did have some limitations though) and for the most part I was a very happy child that loved to talk, to people I knew anyways (I was shy around people I didn't know). Socially I had some trouble and go teased a lot (I was shy, had glasses, couldn’t keep up with other kids during gym/recess and was not allowed to play contact sports), but I did end up making a friend or two which is all I really needed to be happy. Even in tough times I tried to have a positive outlook and have a smile on my face. I loved to write and still do, I have always enjoyed talking, and many of the simple things in life. Unless you knew I had a severe heart condition, than you probably could not tell other than the scars on my chest. My parents were open and honest about my heart my whole life, even when I was young. They always explained things to me in age appropriate ways and only what I needed to know. My mom would always tell me to listen to my body, if I was tired in an activity then stop or if I didn’t feel right then tell someone right away. I became very good at this. Though by age 10, I knew the name of my heart condition, that I’ve had open heart surgeries, what medications I take, etc, but I just did not know the all the seriousness of it. My parents always supported and encouraged me. They always would let me know how special I was and God had big plans for me. I was very Myparents never let me give up on things and gave me a pretty “normal” childhood. I’m thankful for that! At age 14 I was diagnosed with yet another medical issue, congenital scoliosis, meaning I was born with an extra vertebrae in my back and hips not aligned that caused mild to moderate scoliosis of my back. My back is monitored, but because of my heart, not much can be done. I can get bad back pain, but it something I live with and I try not to have it get in the way of living my life. It wasn’t till the summer I turned 16 where my health changed for me; it was a turning point so to speak. I broke out into hives all over my body for no reason early one morning and I was so scared. I remember going from doctor to doctor and even my cardiologist, getting my blood taken, getting my heart looked at, everything to find out what was wrong. I was in so much pain because the hives were on my joints too and it was hard to move. Finally, after three months of steroids, being off my heart medications, and being watched 24/7. The hives went away and to this day no one has a clue what happened. From then I realized that anything can happen and I was so grateful and blessed for what I have. I held onto my faith in God, but there were times I questioned everything (and I still do sometimes), but I try to find peace. Since then life has not been easy for me, but it certainly can be worse and I don’t take a thing for granted. I was diagnosed with exercise and stress induced SuperaVentricular Tachycardia (SVT’s aka very fast heart rate), when I was 18 and I’m on a low dose of a beta-blocker for that (which calms the vessels in my heart so it doesn’t race). When I first got the symptoms of the SVT’s it was scary for me. I had night sweats, bad chest pain, hard to breath, and harder to do daily activates. I was so scared that I didn’t even tell my parents right away, I know now that I should have and I should ALWAYS tell someone if something isn’t right, but it was hard for me to accept that something was wrong. Since the beta-blockers I have been SO much better, but I still struggle with on and off chest pain. It can get frustrating, but I deal with it the best way I can. Since then, I’ve also been diagnosed with muscle spasms (a year ago), mostly on the left side of my body that is usually stress or anxiety induced. I had my third eye surgery in July of 2008 and all went well. I’ve had one trip to the ER of Children’s in July of 2009 due to bad food poisoning. Since 2010, I've been having issues with weird heart beats and some minor heart rate issues, I wore a 30 day heart monitor in Sept. 2011 and it didn't find anything too concerning, just some non harmful palpitations. Every day I have little reminders that I have a CHD; from my scars to my medications to my on and off pain to getting tired easily. 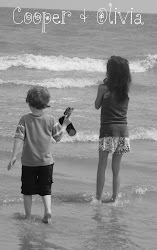 They remind me that each day I’m ever so blessed and grateful to be alive. These reminders also keep fear with me, fear of the unknown and worry, things that are so hard to push completely out of my mind. 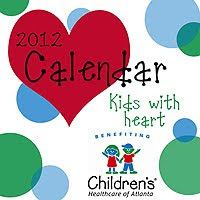 This CHD has impacted my personality in many ways. My CHD has helped in my very emotional personality, my stubbornness, my bluntness about things, my kindness, and my care for others. It has taught me to be more understanding of people around me, has taught me not to take life for granted, to love the people you care about with all you heart, and to enjoy the simple things in life. It has given me a motivation to help others and to always have faith. I’m thankful for my life; I’ve been very blessed in so many ways. I have two parents who have done SO much for me over the years to bring me to this point in my life, the fought so hard to get me here healthy and happy. For that I will always be internally grateful to my parents, I love them VERY much!! I also have a wonderful family including two grandparents, two brothers, and a niece who I love dearly!! I also have an amazing husband, named Christopher, whom I love so much!! Chris is my rock and best friend. I also achieved my goal of graduating college! I graduated college with a BA in Psychology in 2011. I have big plans for my future including publishing my own book. Though I have a tendency to think negatively sometimes, I’ve been trying my hardest to think more positively! I will keep spreading CHD Awareness and telling my story!! 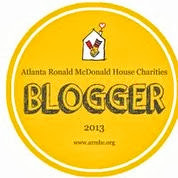 I have LOTS of Hope that ONE DAY CHDs will be more publicized and researched so that more children will be saved!! My CHD will never go away, but I will take what I can from it and keep living my life to the fullest with lots of smiles, laughs, love, and special memories. 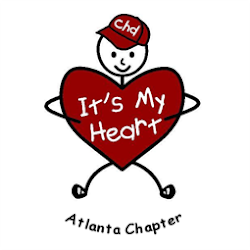 I try not to let me CHD define me because I’m so much more than a CHD. I LOVE my life and I consider my mended heart a gift!! 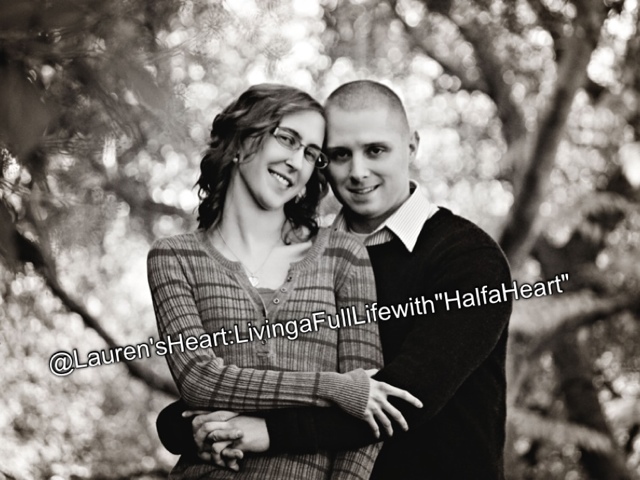 Facebook Page: Lauren's Heart: Living a Full Life with "Half a Heart"